Kentucky Highlands Investment Corporation has long been a champion for small businesses and entrepreneurship throughout eastern Kentucky. 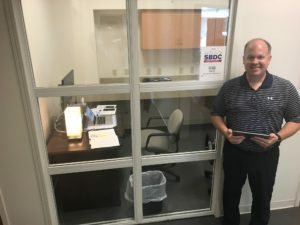 In support of those efforts, Kentucky Highlands recently worked with the South Central Small Business Development Center (SBDC) to locate an office in the Kentucky Highlands Innovation Center. For more information on the South Central SBDC or to schedule a meeting with them, visit https://www.ksbdc.org/southcentral.